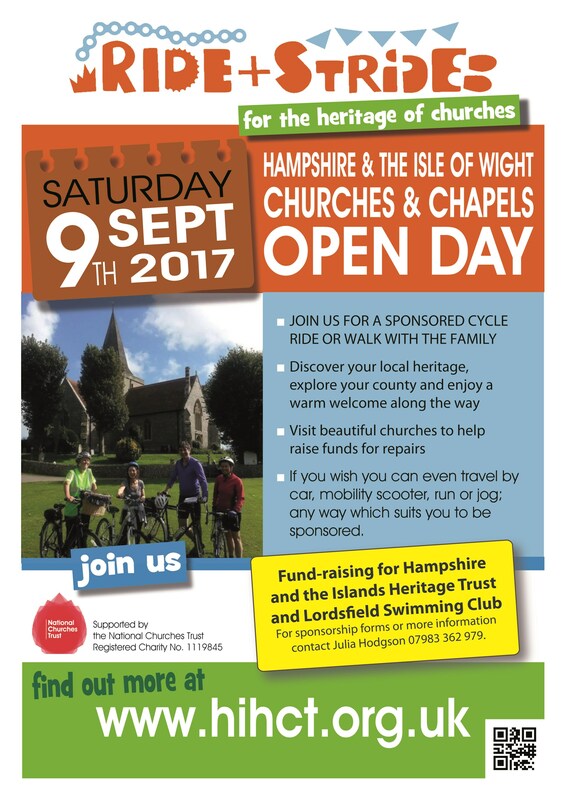 Fun for all the family whilst exploring Hampshire & IoW churches / chapels and helping raise funds in part for Lordsfield Swimming Club at Overton Pool. Grab your sponsor form, choose your own route, have fun and fundraise! What's not to like?! More info and sponsor forms are available online at http://hihct.org.uk/rideStride_taking.php or contact Julia Hodgson on (07983) 362 979. Many thanks to Julia Hodgson at 'The Test' magazine and all those at St Mary's Church, Overton, for thinking of the pool and offering to spilt the proceeds of the event.